Have you ever given any thought about what a positive long term effect you can have on the shelter by creating an estate plan that includes NCCR? Planned giving is a way to fund your favorite non-profit organization. You can invest money so that the organization receives the benefits of that investment over time or you can leave them a gift of cash or property upon your death. Many gifts can even offer significant financial and tax saving benefits for the donor. 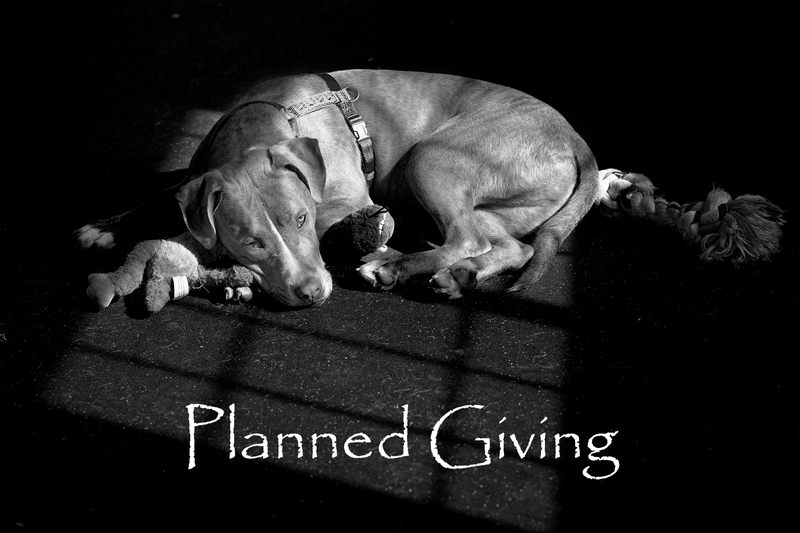 Making a planned gift to Northern Chautauqua Canine Rescue will ensure that your compassion will have a profound impact on the dogs that NCCR helps every year. You will be making a loving commitment to those dogs that will last beyond your own lifetime. Planned giving is often seen as a way to leave a donation to your favorite charity in a way that you might not be able to afford to do otherwise. Name: Northern Chautauqua Canine Rescue, Inc. Please call us if you have any questions. Remember, you will be creating a legacy that will enable NCCR to continue in their work helping the hundreds of stray, abused and unwanted dogs that pass through their doors every year. The volunteers and all the dogs thank you for your thoughtfulness and generosity! Please contact your attorney or financial advisor to help you decide what is best for your personal situation.